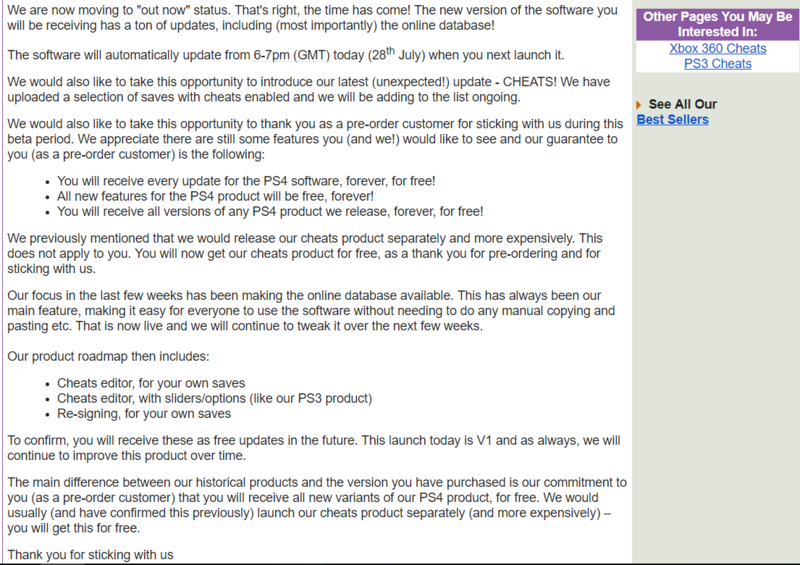 Many moons ago we saw the Xploder PS3 Cheats System for unmodded consoles, and now following the recent PS4 Save Wizard news and Code Freak Cyber PS4 Save Editor the Xploder PS4 Cheats System is on the way and also resigns PlayStation 4 game saves. Highlights: Xploder is the ONLY PS4 cheat software in the world - With our exclusive "re-signing" technology you can instantly use any other ps4 save as your own. Xploder is the ONLY PS4 cheat software in the world - With our exclusive "re-signing" technology you can instantly use any other PS4 save as your own. Hunting around for cheats online can be tricky involving risky flashing or chipping of your console and carries high risk of damage, invalid warranties or getting your profile barred from PSN! No more risk taking, let Xploder do the hard work for you. No other product, service or method offers this ability. It is exclusive to Xploder and another Xploder first. Works with the latest PS4 firmwares without "jailbraking" or "modding"
Assigns any save to your chosen PS4 profile. Xploder is a system that allows any gamer to effortlessly obtain and use gamesaves on their consoles so they can unlock levels and stages, unlock secret/hard to find content, gain extra money, etc to play the whole game! Xploder enables you to access the managed online database and website which is regularly updated with new content. You can even back-up all your saved games to your PC to free up memory on your console. Thanks to @HydrogenNGU for the Xploder PS4 Cheats System news tip on Twitter! So again they use free infos on psdevwiki to sell a device or is it undocumented stuff ? My question is yea sure it's a "cheat system" that edits gamesaves to skip and use other saves. But does it mod and alter the game itself aswell? Infinite ammo, rapid fire, super jumps, go through walls, infinite health etc. Maybe it's one of the ways to loader or something like that , just i think. Did they really just double the price? Of course they did. Gotta make that quick buck before the crypto is public knowledge.